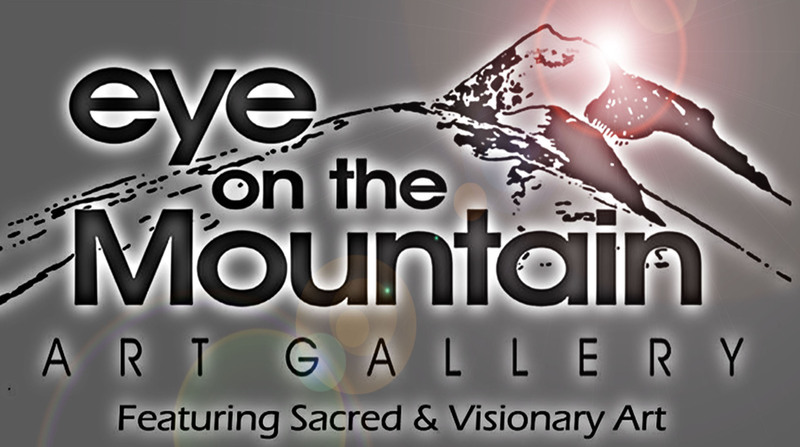 Eye on the Mountain is known for its rotating Art Shows that usually feature Solo Artists, group shows with a theme or Fundraisers and awareness projects. 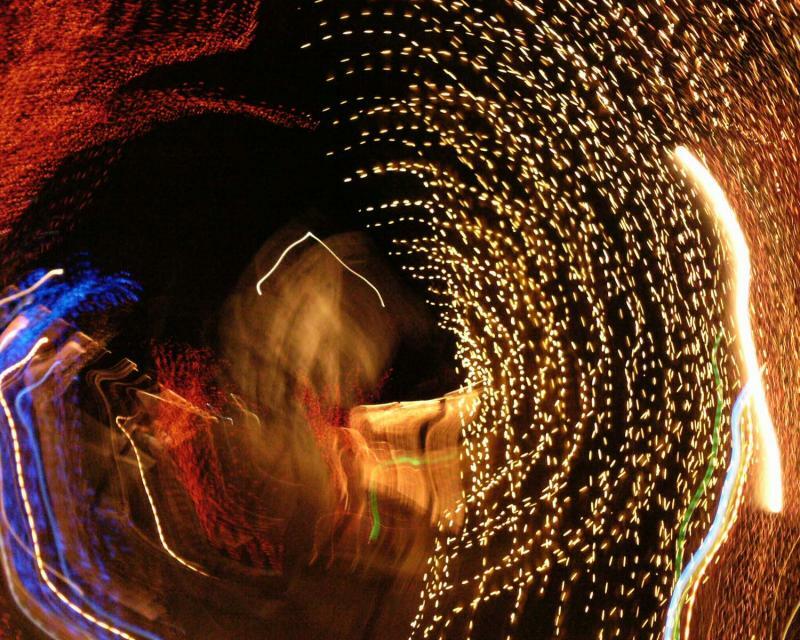 The shows each include artist nights designed to allow the artist to talk to the public about their art works, live art, perfomances, ideas, and processes. 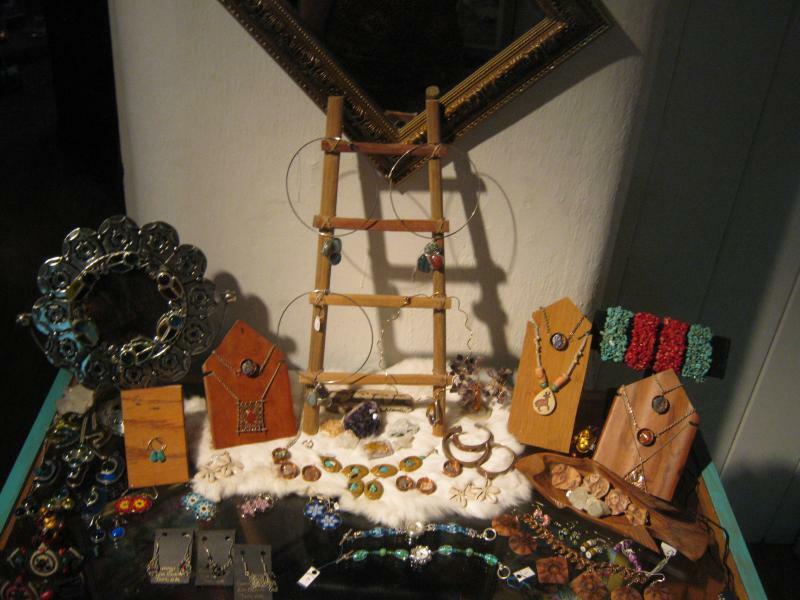 Our gallery also has a large selection of handmade gifts and jewelry not found anywhere else.. Each piece is carfully selected for its appeal as a unique charm for its future owner. Handcrafted jewelry is jewelry with mojo! 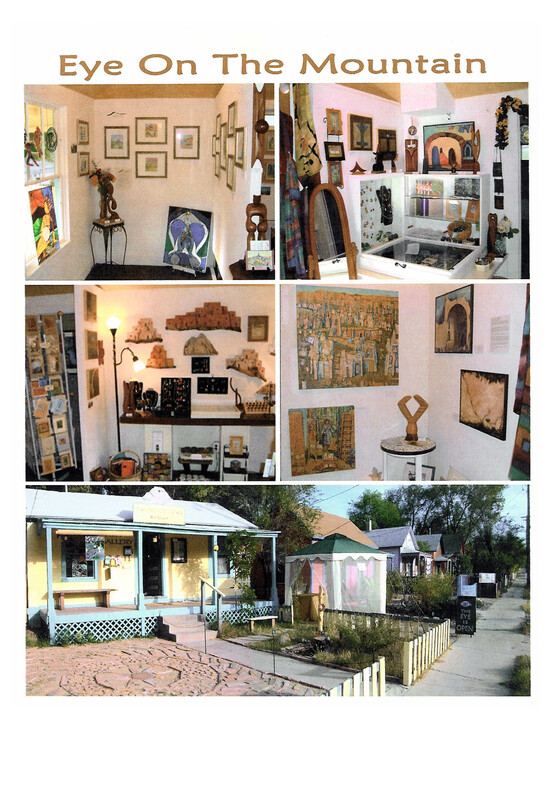 Our gallery features community events and outdoor activities, music, live art, poetry slams, bonfires, drum circles, dancing and joy. We are currently cultivating a sculpture garden/performance space for our gallery. This space is designed to house intimate gatherings for art experiences and of course sculptures. 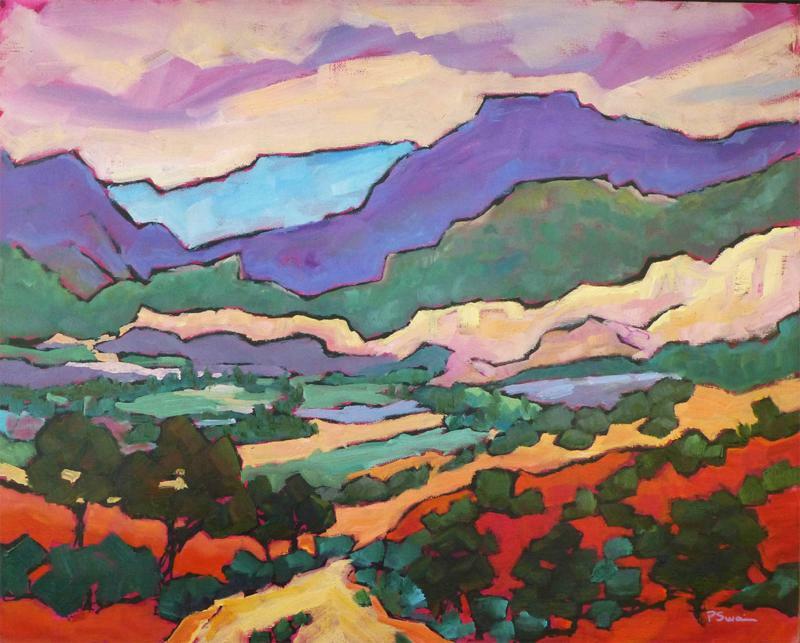 The Eye on the Mountain Art Gallery hopes to continue the legacy of Talented Artists and with some of the most dynamic and interesting art on the Turquoise trail. We are now a collective of 20 artists that we have met over the last 10 years. Each artist brings original vision, quality and uniqueness not found anywhere else! 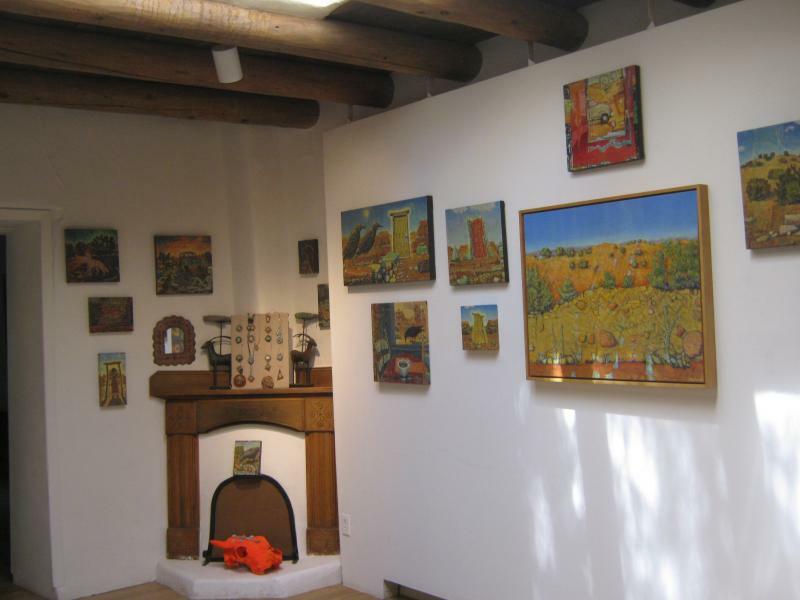 This most colorful Gallery is designed as a venue for art that inspires the viewer, more than just wall art, the art we show has meaning, often sacred to the artist or the viewer and this is what we consider ART! Our Mission is to provide a unique experience of the sacred for all beliefs, styles, art tastes & interior visions. 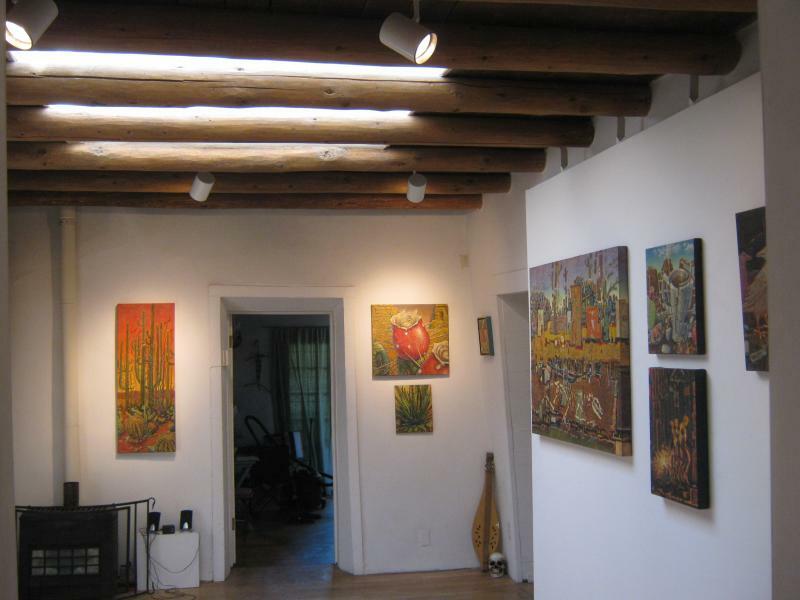 We will strive to create a relaxed modern/contemplative atmosphere for soulful art viewing. We seek to educate our art buyers & collectors on the meaning & value of our contemporary artist/visionaries and their art forms. 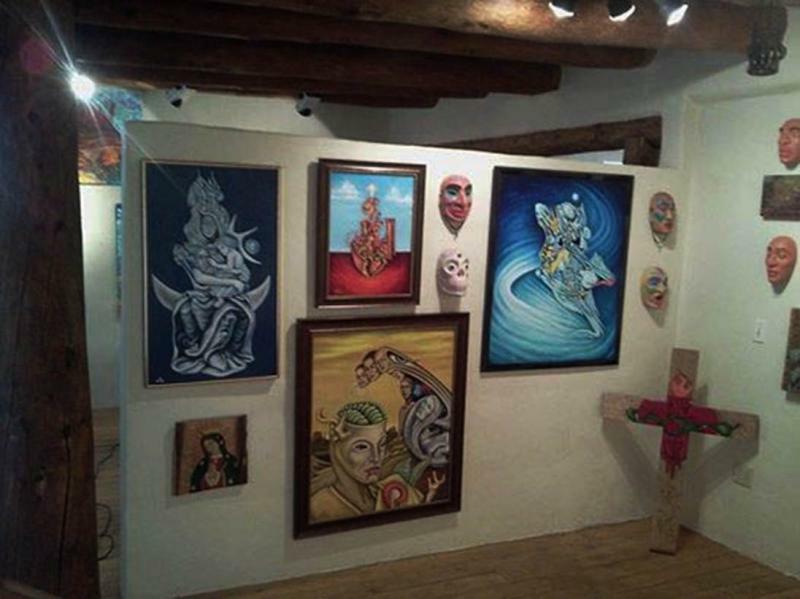 Our goal is to display a wide variety of art including: multicultural artwork, the art of the sacred, art used as therapy, recycled art, outsider art, Southwest religious iconography and art with a statement about the relationship between humans and the earth, and our rapidly changing environment. Eye on the Mountain Gallery 127 N. McCormick St.
Hi, My Name is Rachel Houseman I am the founder of Eye on the Mountain Art Gallery Featuring Visionary Fine Art.﻿ It is a pleasure serving our community and delivering unique artwork featuring diverse and sacred themes. 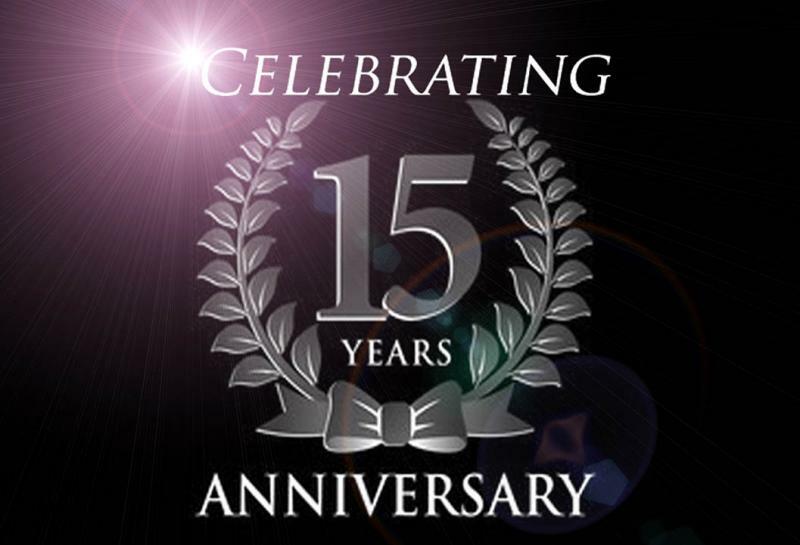 Our Gallery is proud announce that we have featured high quality art exhibits for over 10 years! 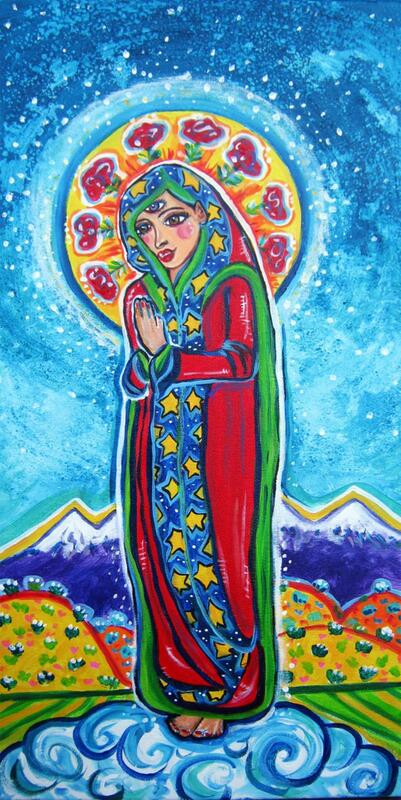 Rachel Houseman is an artist, visionary, healer and gallery owner. She knows that she lives in a world where artists are a vital part of the continued creation of alternatives to destruction. 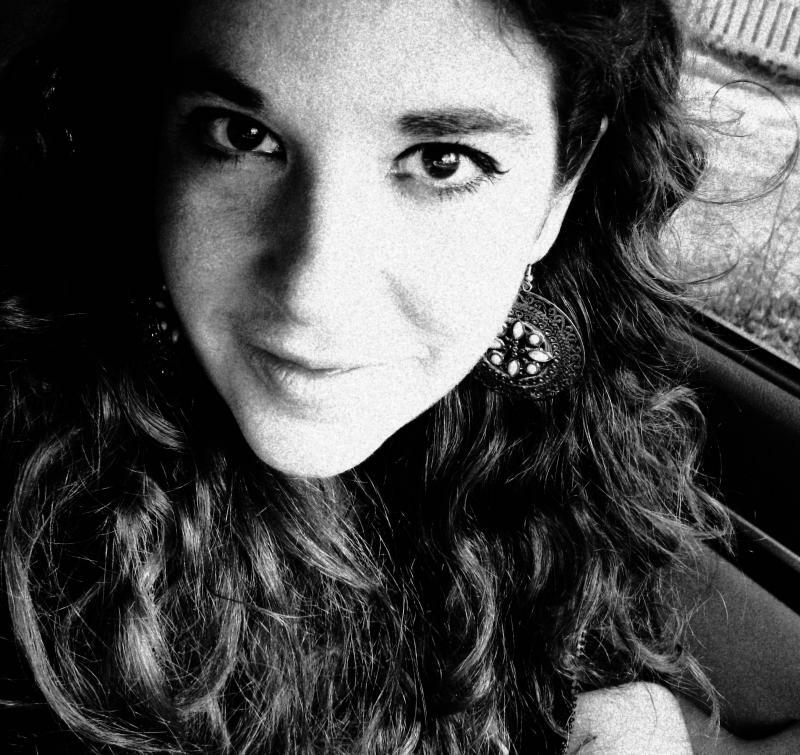 ﻿Rachel creates her art from rich experiences, visions and dreams. Much of Rachel's artwork seeks to reconcile a perceived loss of connection that humans have with the natural world. 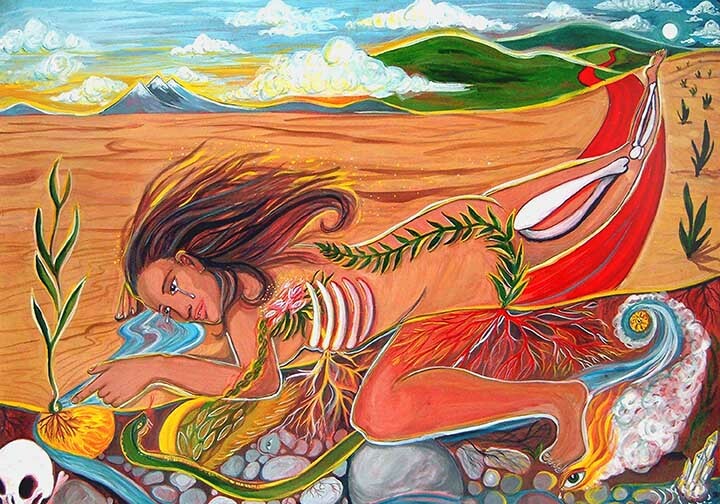 These paintings and artworks are prayers for healing the disconnect and guiding us to our true center, as beings who strive to sustain beauty, peace, understanding and balance within our world. ﻿ Like one of her favorite inspirations, artist, therapist and anthroplogist Ellen Dissyanayake she believes that: "Art is not merely an extra 'addition,' but a necessity for human survival." 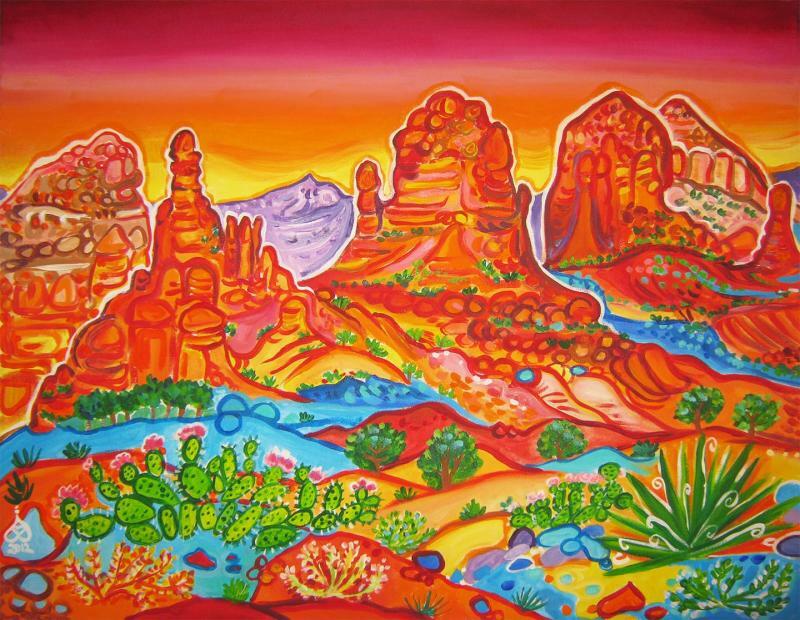 Rachel loves to paint the desert landscape, human figures that inspire contemplation of the human potential and also enjoys the meditative quality of stained glass crafting and beading jewelry with stones that hold healing qualities. She also works through the medium of art and healing with artists in the community promoting original vision and cultural understanding through events, lectures, healing art and rituals as well as a diverse variety of informed, experiential, and hands on classes. Stevon Lucero is a vibrant, unique, and valuable member of the Denver Community. He has lived and worked in Denver since 1976 when he moved his small family from Laramie, Wyoming to ‘the big city.' 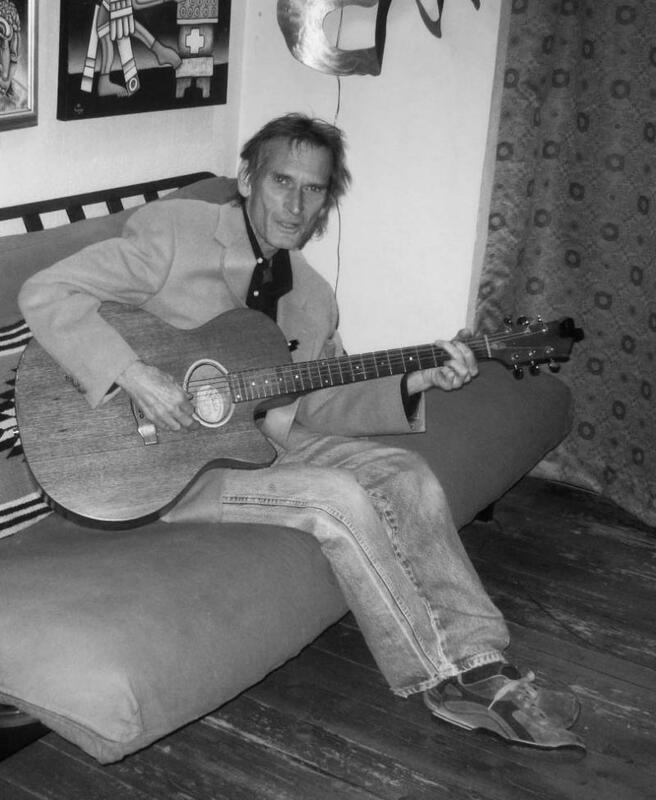 With a unique vision and voice, he quickly became an active participant in the growing Denver art scene. 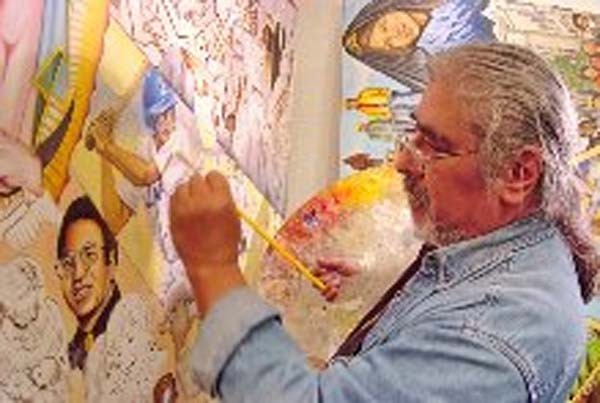 He helped to create the dynamic Latino arts organization, CHAC, which has anchored and facilitated the exciting revitalization of Santa Fe Drive. His art and his personality have inspired generations of artists. He has lovingly, generously provided his experience and advice to dozens and dozens of young Creatives looking for a mentor, and not just in his field of visual art. He has been a beacon and an inspiration to young writers, musicians and actors, as well. Articulate and thoughtful, he helps both young and old people to learn to express their inner artist; to appreciate the magic and beauty that exists in any act of creation; to recognize the vital importance that every voice brings to the community table. He is loved and respected by so many people in this community. His art, his philosophies, and his compassion have made him an asset to everyone in this city, regardless of race or status. Art for me is about speaking a truth, not as dogma, but as one might dream of being a star or a tree in another life. It is about feeling the texture of poetry in the celestial chorus of grass and cloud. It is also about praying, when in great need, for life and feeling. Folk art, per my definition, is an expression broadly defined to include surrealism and abstract art as these artistic genres, like geniis greater in stature than any individual artist, embracing the passion and spirit of folk art that was itself a jinn of place, communal space and states of mind. Into this embrace I join my creative journey, beginning with self-expression and then leaving self behind. 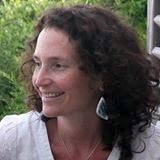 Dana is a Yale University trained artist and teacher. 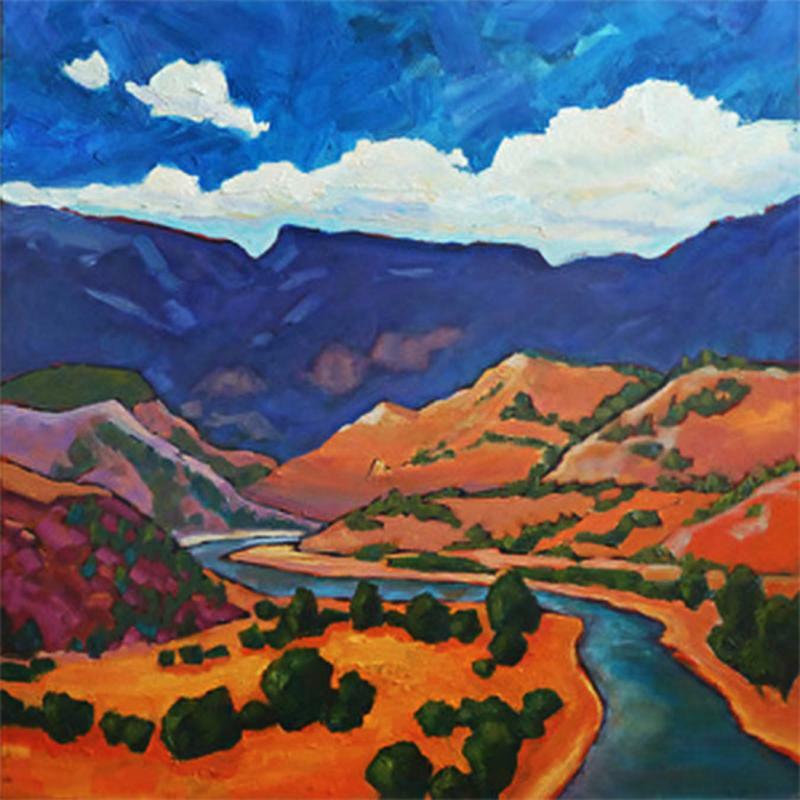 He is known for his epic grand-scale canvas pieces and detailed etchings. 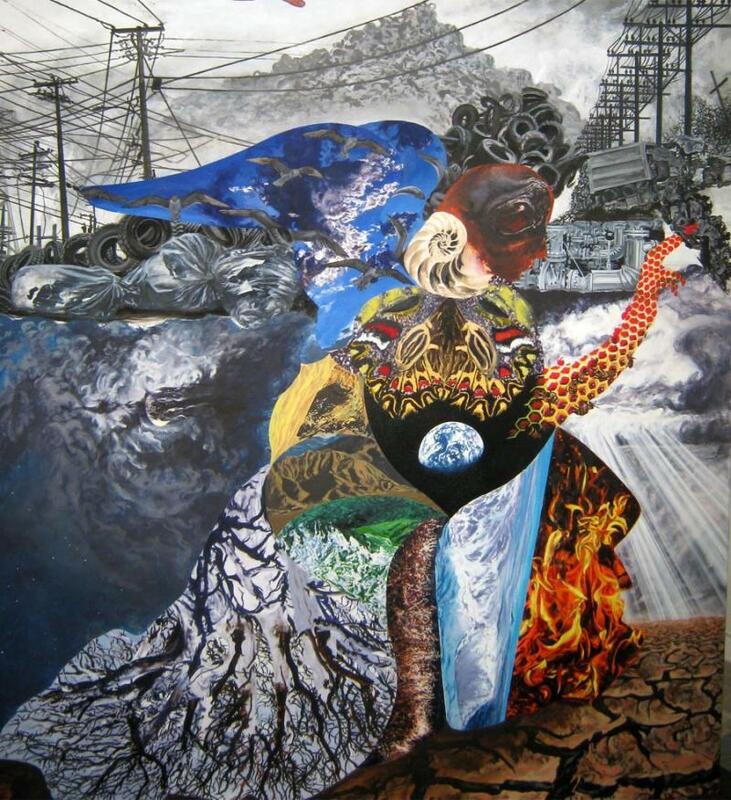 He envisions and creates surreal, kaleidoscopic artworks that appear at first almost like a collage of intersecting images. 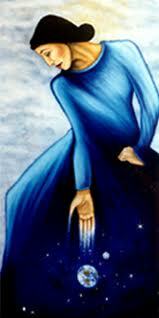 Dana has a social/spiritual message for our time relating to the relationship between the Earth and Humanity. He shows us how they are currently colliding and inspiring both awe and fear. 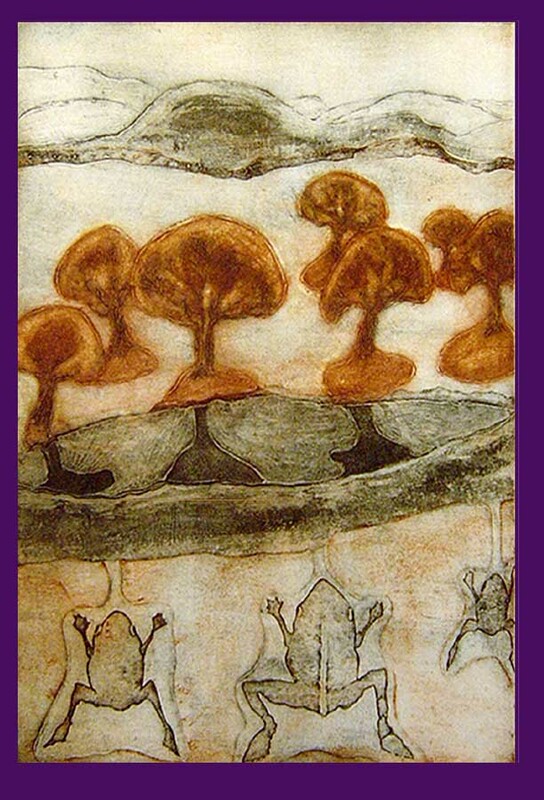 Dana's original etchings inspire with their many layers and colors all created painstakingly by hand. I grew up in an artistic, musical family, surrounded by both. My father, George Kosanovic, has an MFA. My mother was an elementary school art teacher. Creativity was always encouraged. 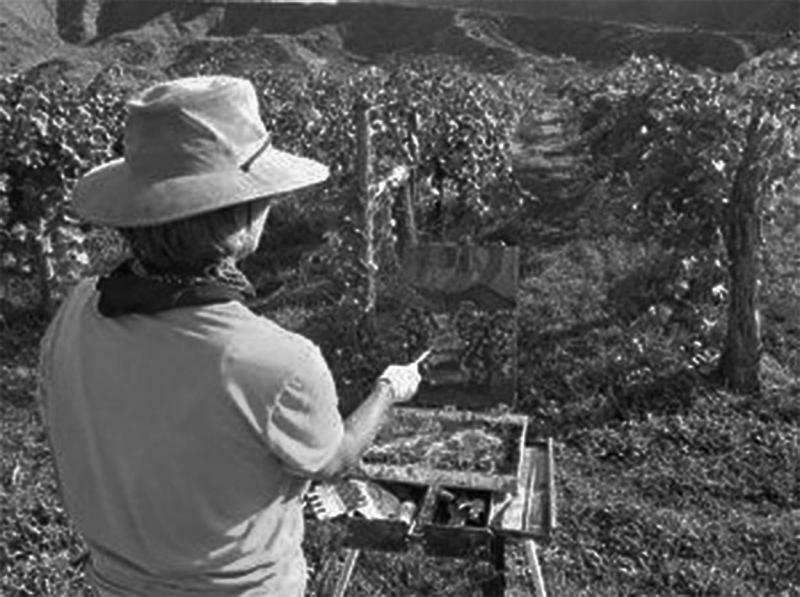 Many weekends our family would go plein air painting in the Seattle suburbs. The best family vacations were painting on Puget Sound, the Oregon coast or Southern Utah. I am blessed to have grown up in this environment. While attending University of Utah, free time was spent skiing, camping & hiking in southern Utah and N. Arizona. I fell in love with the southwest. The path of academia took me to San Juan College of Nursing, Farmington, New Mexico. I graduated in 1992 as an RN, on the Dean's List. Sketching, drawing and painting have always been a big part of my life. After graduation, I continued yearly summer painting trips with family & friends on the Oregon coast, returning to this thing that I love. I began painting workshops in 2003. If I had to label myself with a style, it would be plein air expressionism/sometimes colorist, but I don't want to limit myself. Although I can match the local color when painting, sometimes it's fun not to. When beginning a painting, I decide what it is that I love about the location. I look for a few simple, interesting shapes, the light and shadow patterns, colors and textures. Like music, I strive to make each note beautiful, each spot of color delicious. Lalman Lama was born in the Newari Region of Nepal. 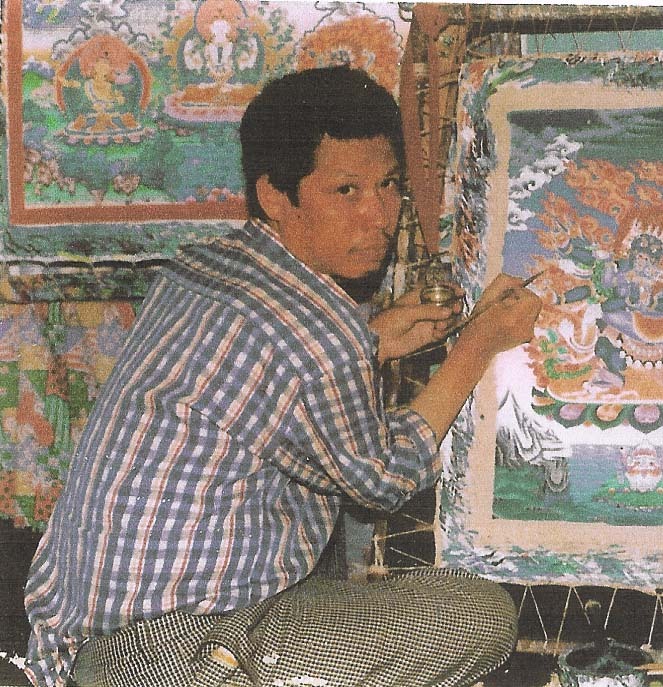 His grandfather was a master painter that began to teach Lalaman how to paint traditional thanka paintings at age 10. 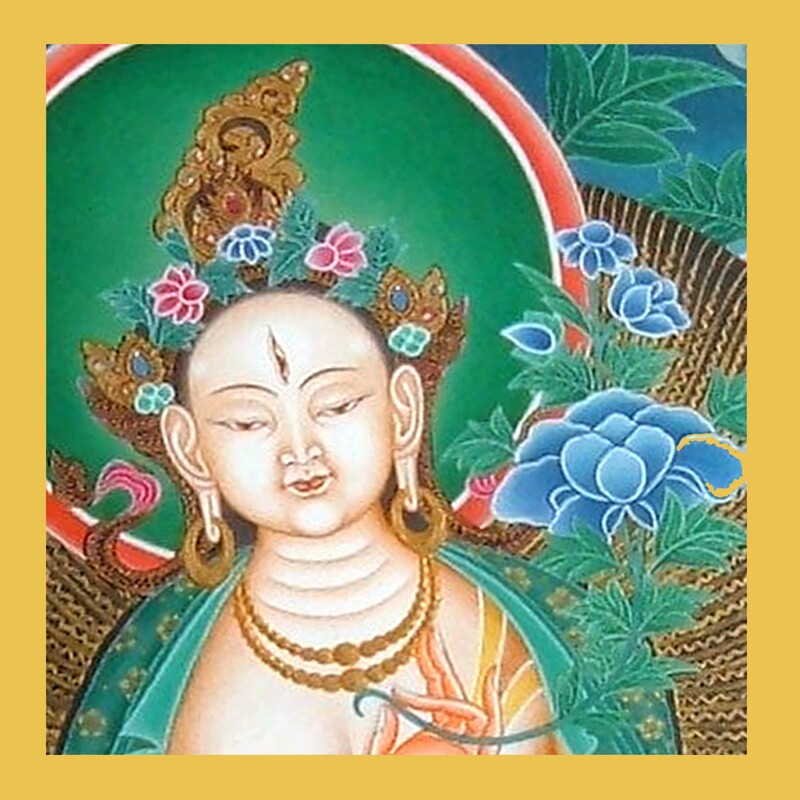 At the age of 13 he was discovered and was considered to be a true master talent.Since then, Lalman Lama has been published around the world in posters and calenders. He has worked with international figures of Buddhist studies such as the scholar Robert Beer. 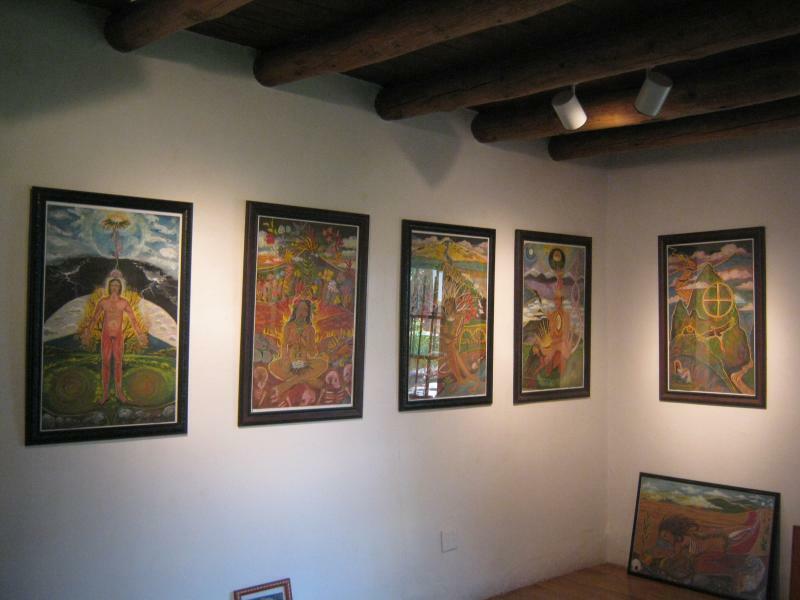 He currently has an art galleryin Kathmandu, Nepal and paints thankas in the sacred manner. Each layer of paint is prayed over, each brush made by hand, all pigments are hand crushed, and even the gold leaf is also created by hand. 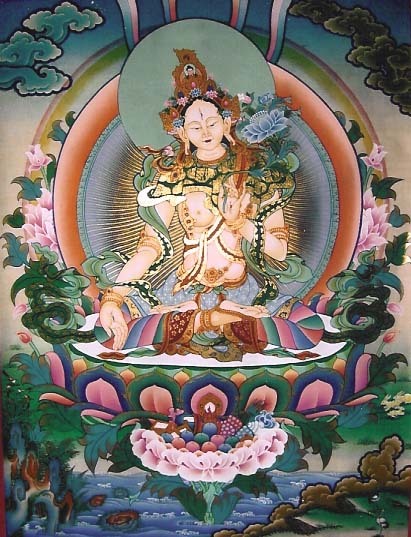 Detail of White Tara's Face, luminescent skin tones are something that Lalman Lama is known for. 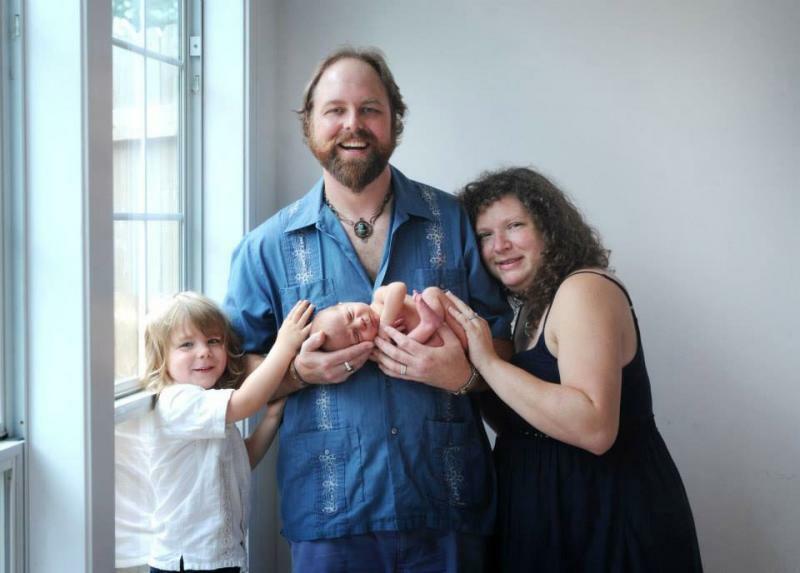 Aaron Jones calls himself an "Art Technologist"﻿ this translates that he is a true Modern Renaissance man.. an ordained priest, visual artist, photographer, musician, poet, sculptor, performance artist, blacksmith and visionary technology designer. 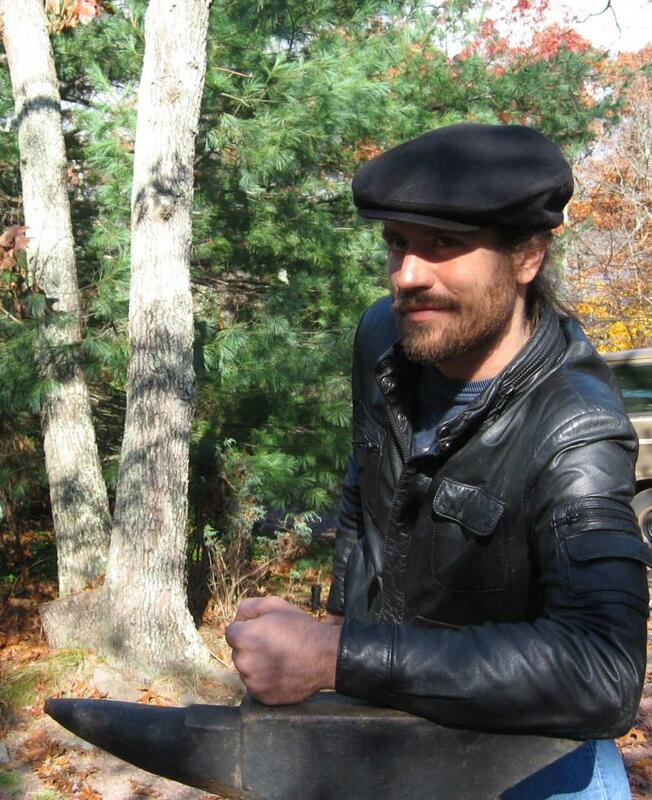 Aaron studied art with many fine artists, craftsmen,and has apprenticed with blacksmiths. 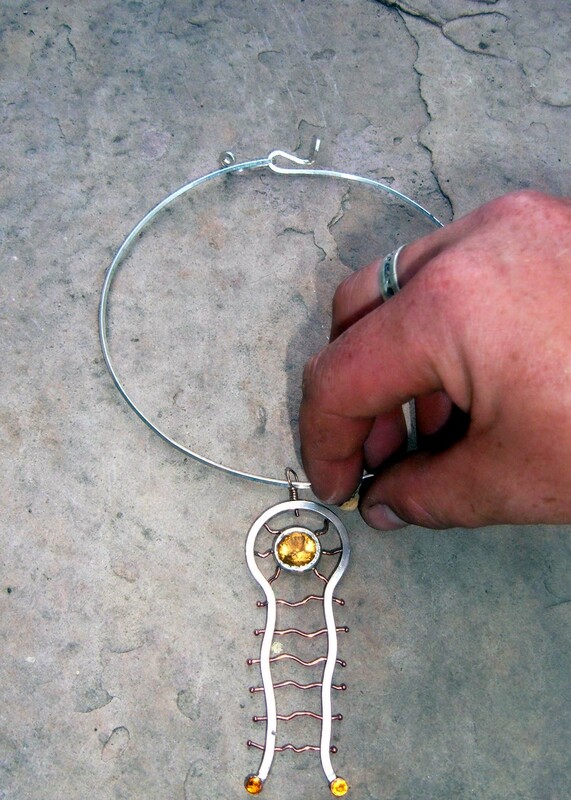 He has been making art and functional sculptures for over 15years. He grew up in Vermont, an area flooded with a wide variety of craftspeople. Drawing from the inspiration from nature and technologies of the future, he considers the connections between art and technology essential to the future of human evolution. "Megalaton" 50' Metal Sculpture Aaron helped create at Goddard College Campus, Plainfield, VT.
﻿Micheal lives along the Turquoise Tail in New Mexico just outside of Albuquerque. 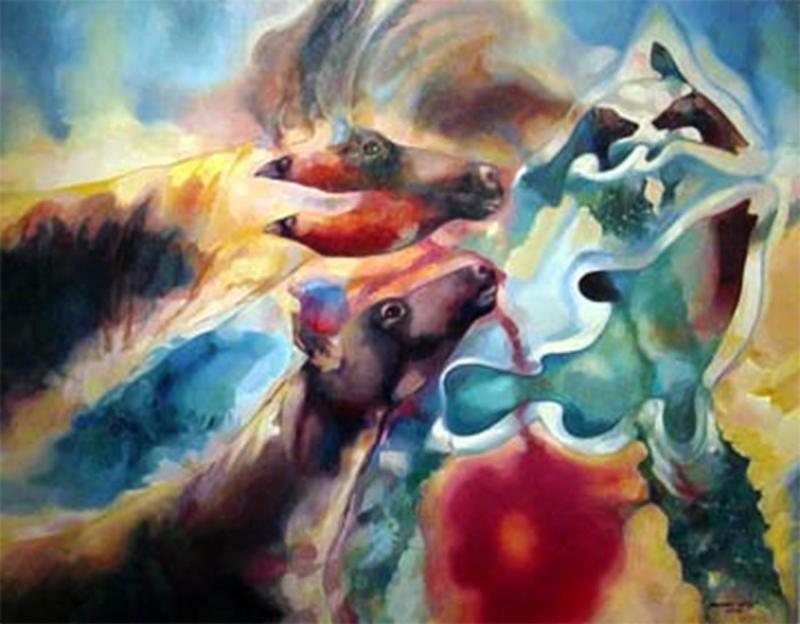 This series is inspired by his love of beauty, animals, and nature. Michael has been working on a book for his series of paintings called " The Future of Animals." 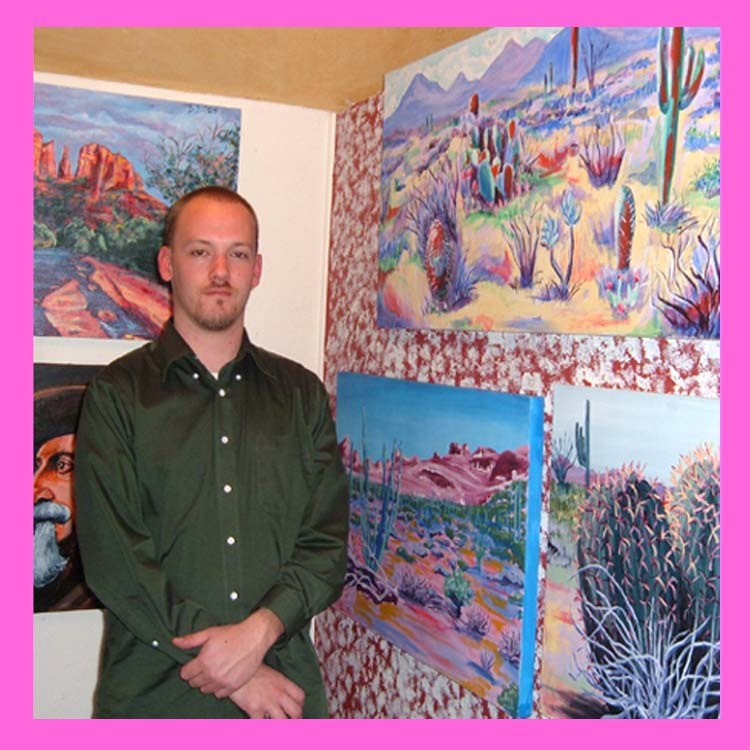 He is a versatile artist and musician and brings his love of the natural world to all that he creates. 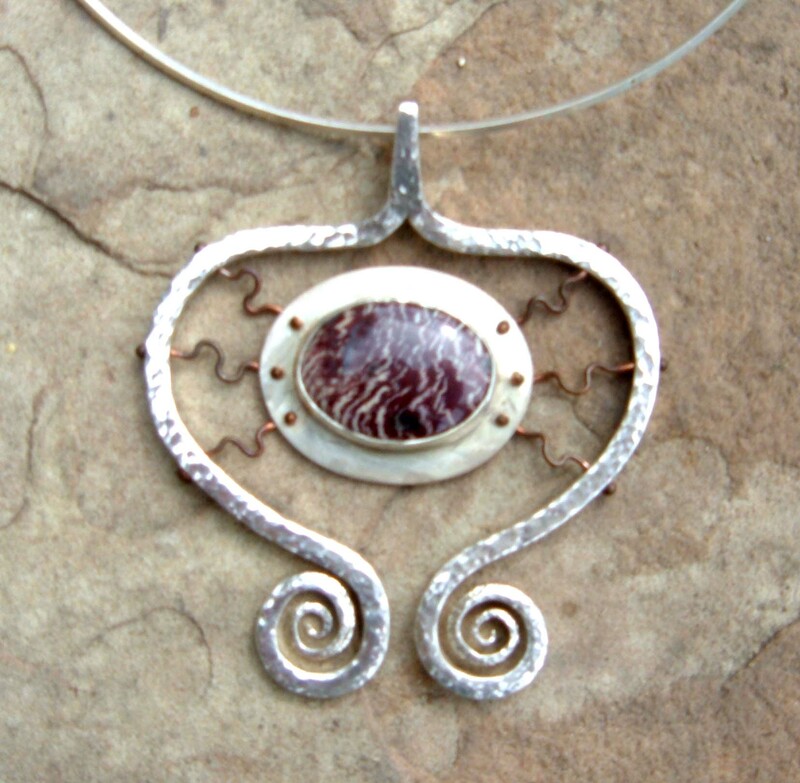 Chad works in Austin, Texas making jewelry and other art elements from genuine stones, precious jewels, and fine metals. "I create original woodworks that tell the story of everyday life and I try to set the scene of events that exist with or without notice. Some of the works are just backgrounds that people travel through. Others are capturing the daily routine in a person’s life. 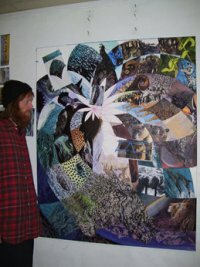 The images are from my past and present, places I have lived, visited, or are currently experiencing. I want the viewer to imagine they are able to see what lies in the lives of others. I create woodworks that are fun, inspiring, and original. 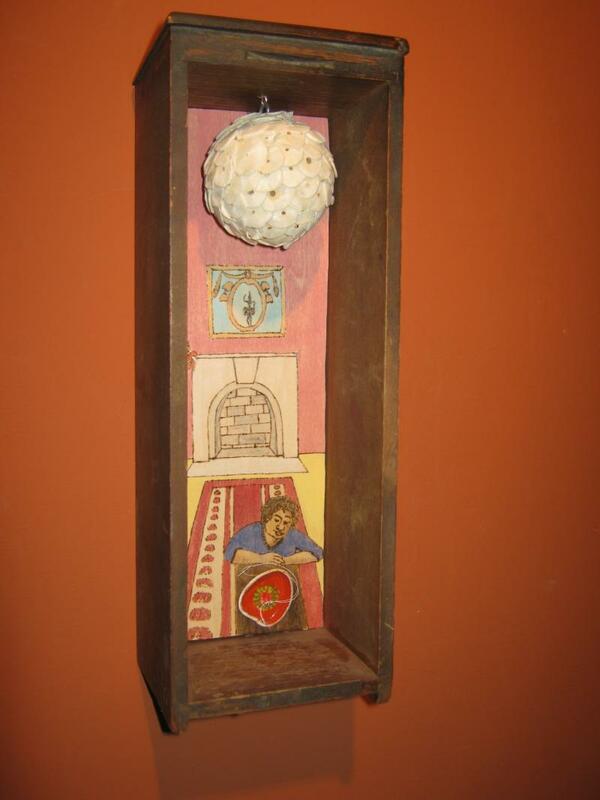 I add found objects to some of my works that better tell the story. The end result is a glimpse into the world others may experience." Reagan has many talents and enjoys making art that inspires. 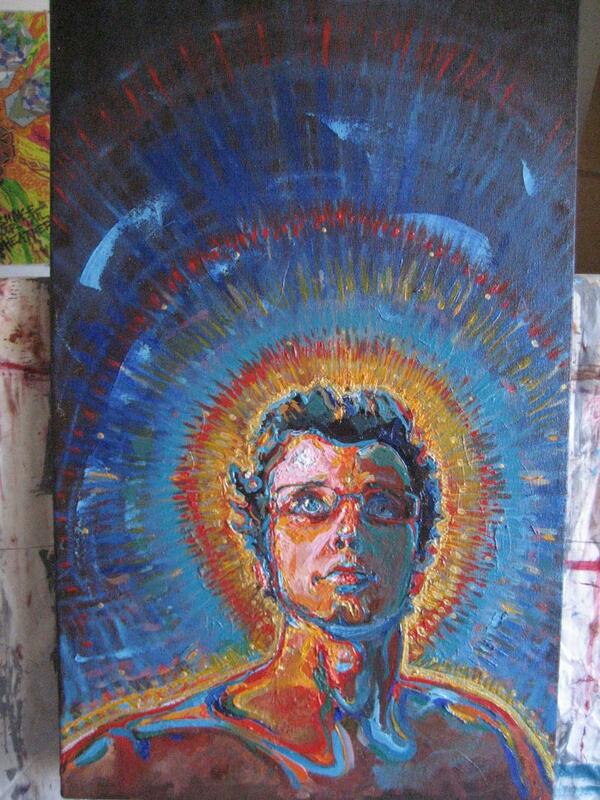 He was born in Chattanooga, TN and has been an art student off and on through out his life. He uses traditional training and visionary inspiration to create his works. he loves to paint with oils and also enjoys making sketches to inspire his art. 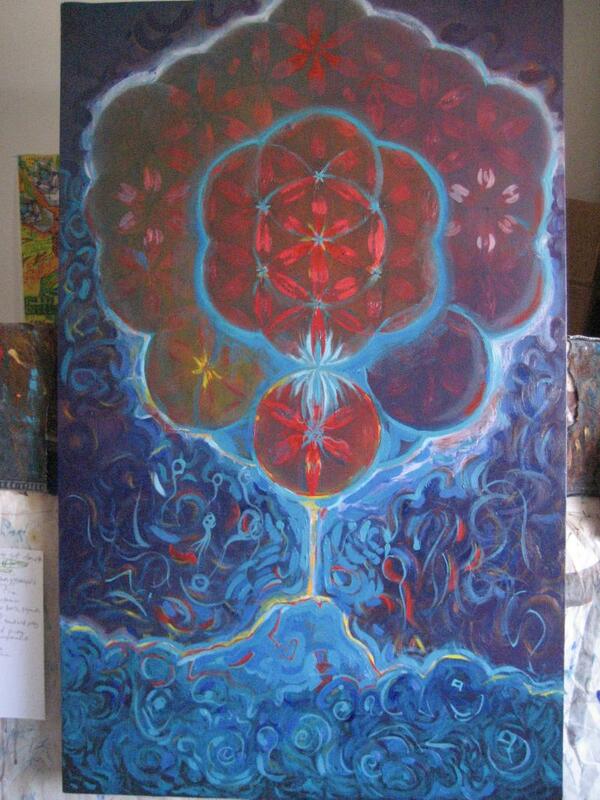 He is a student of Sacred Geometry and Herbalism. Bill JohnsonBill is an artist and art teacher. 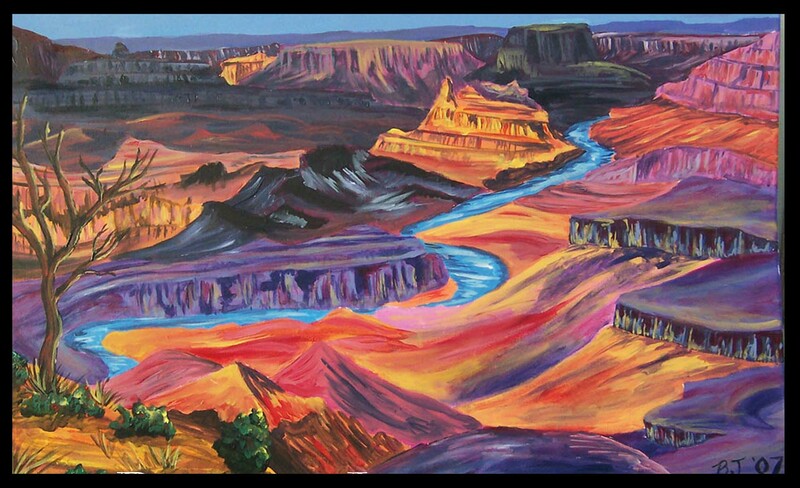 He loves to paint the desert, especially sites along the Grand Canyon and Canyon de Chelly in Northern Arizona. 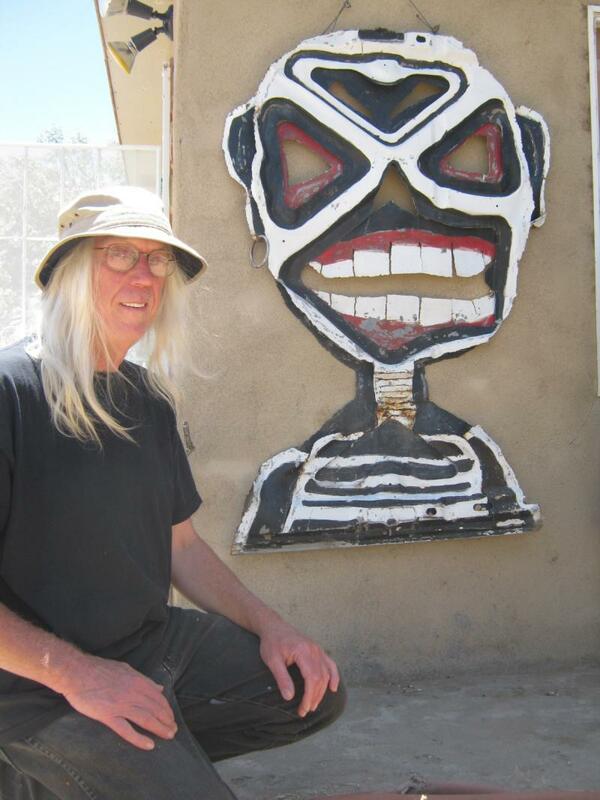 Bill teaches art and lives in Bagdad, AZ. 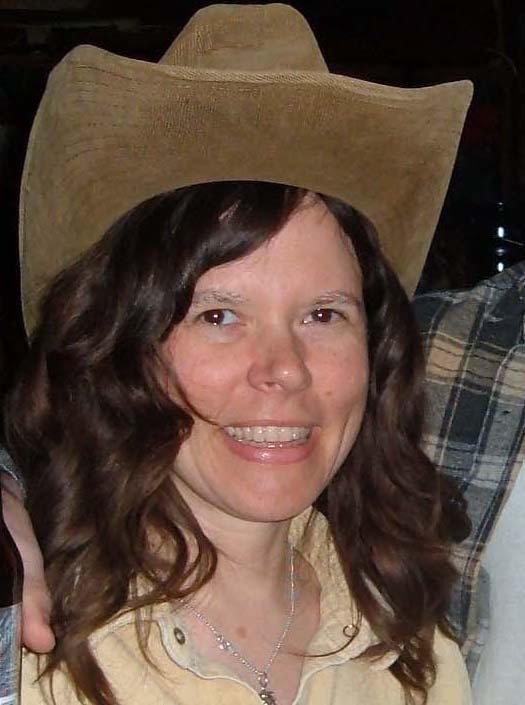 Kelly RobergeKelly lives in a small, mountain- top mining village in Northern Arizona called Jerome. This is not your average city and Kelly is not your average artist. She is a print maker, leather worker, painter and dreamer. She educates and heals using Art Therapy as a medium. She has a sense of adventure and a sense of humor that are as healing as her funky images and healing skills! 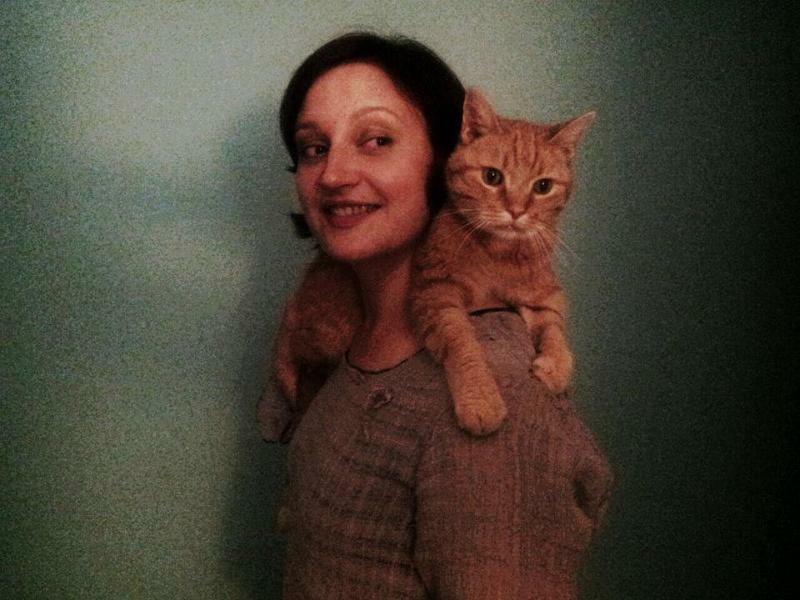 Kelly's Company, Keltic Catfish features fine art, leather and hand printed art. 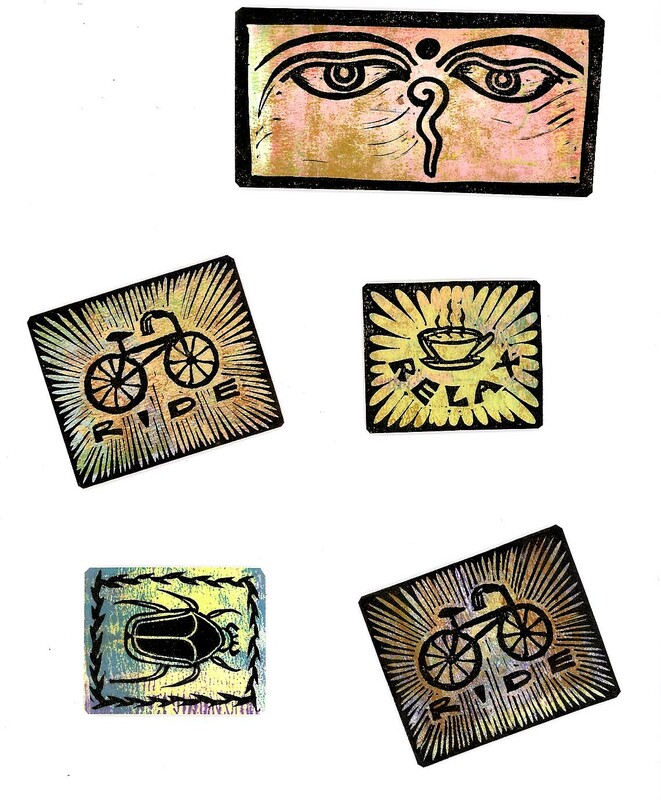 Funky Fantastic Magnets Made with Real Block Prints!